Ms. Mary Hazel McLaughlin Virgil age 72, of Raeford, NC departed this life on Sunday, March 24, 2019 at First Health Hospital. She is the daughter of the late Jake and Bell McLaughlin. 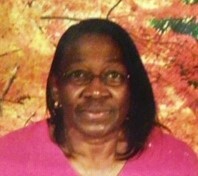 She was educated in the Hoke County School System and a graduate of Upchurch High School. Mary continued her education at Sandhills Community College with a degree in Early Childhood Education in 2005. She leaves to cherish her memories, one daughter: Michelle Virgil Allen (Raphael) of Sanford, N.C. and one son: Patrick Levone Virgil of Raeford, NC ; nine grandchildren: Keondra Virgil, Breonna Virgil, Latoya Allen, Raphael Allen II, Patronne Virgil, Kaliah Singletary, Jha’Nhariah Virgil, Javion Virgil, Ja’Nylah Virgil; two great grandchildren: BreAri Virgil and Jacier Virgil; four sisters: Hazel Jones (Richard), Carolyn Easterling (Carnell), Clara Graham, Sheffie Turner (Eric);four Brothers: Billy McLaughlin (Lynette), Terry McLaughlin (Regina), Yancey McLaughlin and Milton McLaughlin (Angela); one special aunt, Marion Russell and also, a very dependable and special sister-in-law, Shirley McLaughlin, that she could always count on; a host of nieces, nephews, cousins, extended family and friends that she loved dearly.